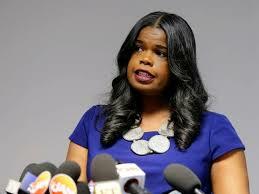 A group of suburban police chiefs as well as the police union on Thursday called on Kim Foxx, the prosecutor whose office abruptly dropped charges against “Empire” actor Jussie Smollett, to immediately resign. About 30 suburban police chiefs announced the associations’ call for Foxx to step down at an news conference organized by the union. The city of Chicago’s law department on Thursday said it was drafting a civil lawsuit against the actor to recoup the money. 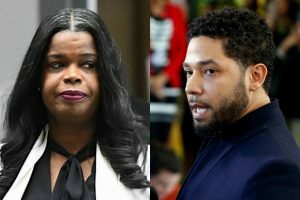 City officials announced the lawsuit a week after sending Smollett’s team a demand letter to reimburse Chicago for the overtime fees. “Mr. 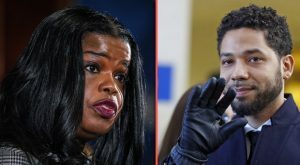 Smollett has refused to reimburse the City of Chicago for the cost of police overtime spent investigating his false police report on January 29, 2019,” Bill McCaffrey, a spokesman for Chicago’s law department, said in a statement. He added that the city the would pursue the “full measure of damages allowed under the ordinance,” which is triple the the amount they are trying to claw back. Rev. Michel Pfleger, a Catholic priest and activist who has defended Foxx, noted that all of the police chiefs who attended Thursday’s news conference are white.